Selling a vacant house poses challenges for folks relocating because of a job change and who’d typically want to sell house fast. To the dismay of these homeowners, chances are slim that prospective buyers will prefer including in their short list an empty dwelling over a furnished residence. The reason for this is pretty obvious especially for would-be buyers relying on online search of their dream homes. Photos of vacant homes and their empty rooms posted online would be quite unappealing. Such pictures don’t provide a clear sense of the actual floor layout and the sizes of each room and how these are used. Aspiring buyers would be hard put to imagine how the floor spaces would accommodate their own furnishings. For those who want sell house fast, the silver lining in listing a vacant home on the market is that they could actually turn the bareness of the residence to their advantage. All that empty residential space is a blank canvas upon which to “stage” a home to sell house fast. Staging a home, simply put, means showcasing the best assets of the residence in order to draw the attention of as many buyers as possible. Laying this platform to sell house fast would involve removing from the residence the personal clutter of the homeowner-seller. This should already be done and over with in a vacant house. What’s left to do is some redecorating, as home appearance counts much among house hunters. With all furnishings already removed in a vacant house, there are several options to present its best foot forward. One is availing of rental packages that some furniture companies. Another is seeking shops which offer consignment furniture, which are typically inexpensive. Consignment furnishings will not only allow a more live-in look for the home. It also opens the opportunity to sell them to prospective house buyers. Hence, such a deal which could resonate particularly with first-time home buyers. For the residence to achieve that total “designed-to-sell” look, realtors are wont to advise that a professional stager be hired. This, of course, would entail cost of anywhere between $50 and $150 an hour. Modern technology is also now being employed in helping market vacant homes. Some techie service providers are now offering to incorporate computer-generated images of furnishings and accessories to photos of vacant living rooms, dining rooms and master bedrooms. To zero in on specific buyers, the images which would be used are chosen tailor fit for specific market demographics. This virtual home staging, of course, would entail professional fees as well as also disclosure that such ad presentation technique was employed. Staging a home doesn’t need money and effort to be spent on. At House Sold Easy we buy houses no matter what their condition is. 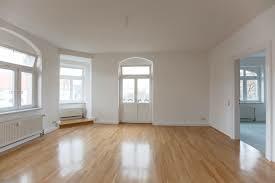 As investors, how a vacant home looks is no issue with us. We ourselves can undertake any upgrade of the houses we buy. Avail of our home value consultation which is absolutely free and on a no-obligation basis for those who seek value estimates on their residences. Call us at 636-525-1566 to learn more about our quick buying approaches for homes, vacant or not.